4 Commercial Real Estate & Properties in Toukley are listed in 2 categories. We have 2 Retail ShopsSale and 2 Development LandsSale . 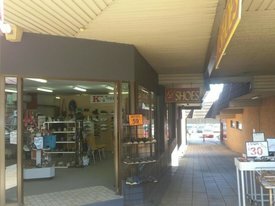 Toukley $250,000 + GST If Applica..
Retail shop in the front of the arcade with plenty of exposure in the heart of the retail precinct. It would suite medical or office space. Opening on to council car park, there is loads of passing foot traffic! 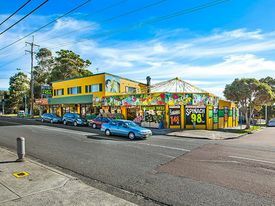 Unique opportunity for astute investor 3 retail tenancies and 2 residential flats returning $241,575 PA Nett Well maintained building with concrete car park for 21 cars High exposure on the corner Main Road and Norman Street New 5 year retail leases with 5 year option in place Sit back and watch the money roll in. You may never get another chance like this! Expressions of Interest!! DA Approved Waterfront Service Apartment Development Site This rare opportunity is located on the magnificent shoreline of Toukley to develop amazing waterfront holiday apartments. bull; Popular destination site for Australian and oversea tourists. bull; Site area is 1,435 m² (approx.). bull; Toukley is home to almost 5000 people with excellent growth in residential and holiday resort bull; Total of 26 apartments within this property and all have their own car parking spaces bull; Located 90 minutes from Sydney CBD bull; Minutes away from leisure activities including beaches, diving, state forests, world heritage sites, Chinese Cultural theme park and much more.